Vivacity that can only be found in places like this. 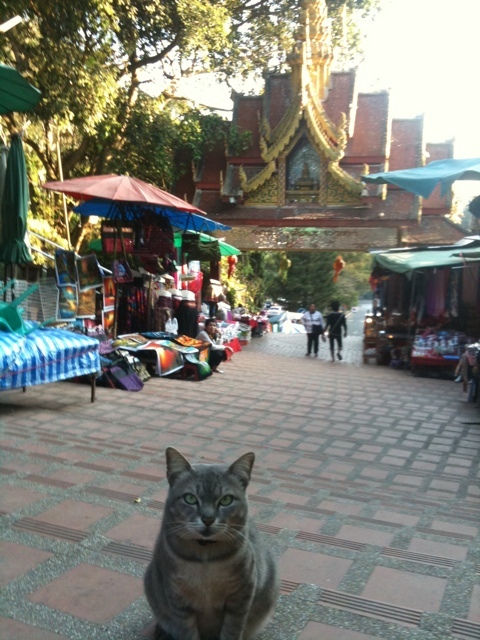 The shopping is cheap, the haggling is an art, and every nook and cranny is filled with Buddha or religious artifact. Over 300 wats in chiang Mai alone! 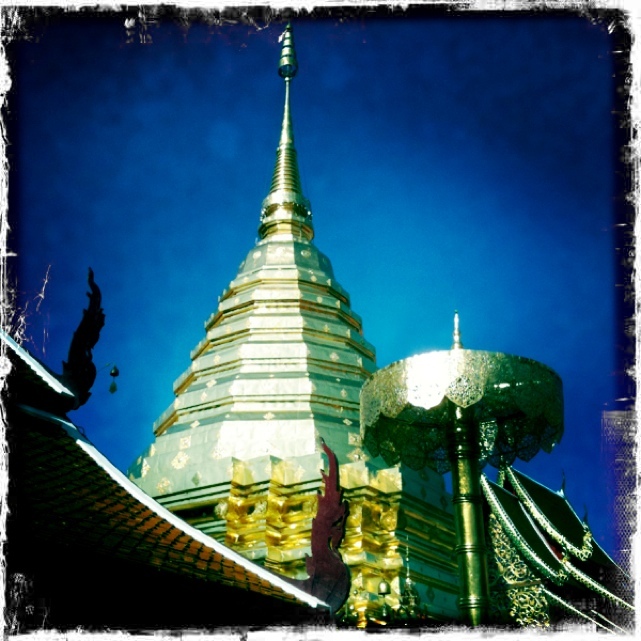 We went to Wat That Doi Suthep last night–this huge wat on the very top of this ginormous mountain. You can tell if a building was originally created to be a wat by the stairs–if the stairs have a dragon a body leading all the way up each side then this was this buildings original design intention. Continue to apply their Buddhist ideals. It’s all quite beautiful and truly all around us here. I had a really fun vegan Thai cooking course today. I learned how to make 10 different dishes (mango sticky rice!! 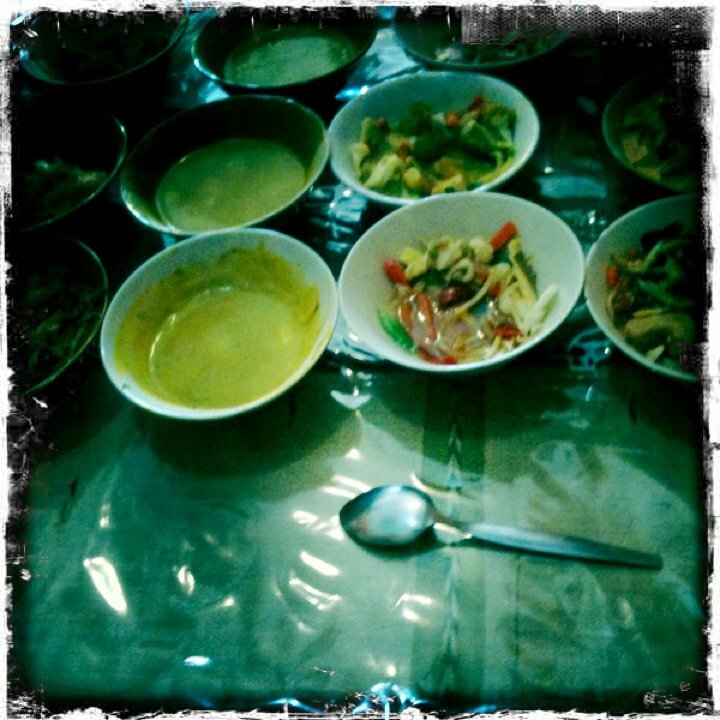 !, curries, soups, summer rolls, papaya salad droooool) and even got to go with to the market to pick up all the ingredients. It was called May Kaidee’s Cooking school and she was so nice and fun and afterwards I was asking her about Thai dance classes -cause they have not been so easy to find and she was like “No I just show you now!” And right there and then started dancing and singing so beautiful and teaching me hand motions and turning us in giggling circles–it was so lovely that I almost wanted to cry. This weekend here in Chiang Mai just happens to be the Flower Festival!! You know I love a good parade and if you ve ever walked around with me you may also know that I ADORE flowers–so stay tuned for some inside shots of thus cultural bonanza. 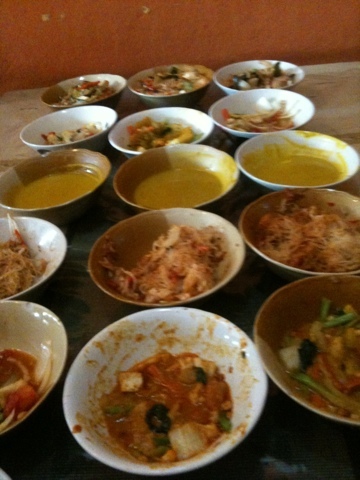 its so lovely to hear you sinking into life there and i can’t wait for you to make me some super yummy thai treats!